Anthropogenic 90Sr, 239,240Pu and 241Am were used as tracers of water mass circulation in the Crozet Basin of the South Indian Ocean, represented by three main water fronts—Agulhas (AF), Subtropical (STF) and Subantarctic (SAF). Higher 90Sr concentrations observed north of 43°S were due to the influence of AF and STF, which are associated with the south branch of the Subtropical gyre, which acts as a reservoir of radionuclides transported from the North to the South Indian Ocean. On the other hand, the region south of 43°S has been influenced by SAF, bringing to the Crozet Basin Antarctic waters with lower radionuclide concentrations. The 238Pu/239,240Pu activity ratios observed in water and zooplankton samples indicated that, even 35 years after the injection of 238Pu to the Indian Ocean from the burn-up of the SNAP-9A satellite, the increased levels of 238Pu in surface water and zooplankton are still well visible. 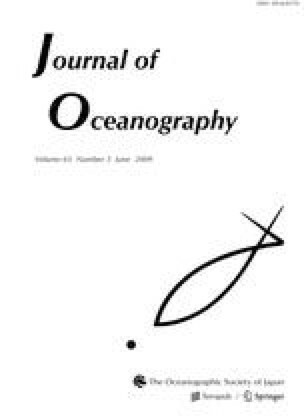 The radionuclide concentrations in seawater and their availability to zooplankton are responsible for the observed 210Po, 239,240Pu and 241Am levels in zooplankton.